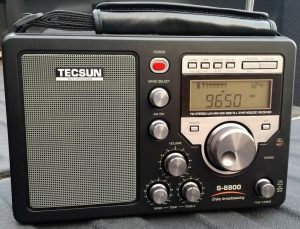 The Tecsun S-8800 is the latest portable by Chinese manufacturer, Tecsun. The Shortwave Radio Index (SWRI), simply put, is a comprehensive listing of all shortwave radios currently in production and a few that have recently been discontinued. The SWRI is an ad-free site hosted and maintained by SWLing.com. Each radio is listed and tagged by manufacturer and model number where applicable. Each listing has basic information about the radio, a photo, specifications (especially those relevant to shortwave radio listeners), links to reviews and retailers. Please be sure to also check out our Beginner’s guide to shortwave radio listening and our regularly updated blog, the SWLing Post. Thank you for visiting our site!